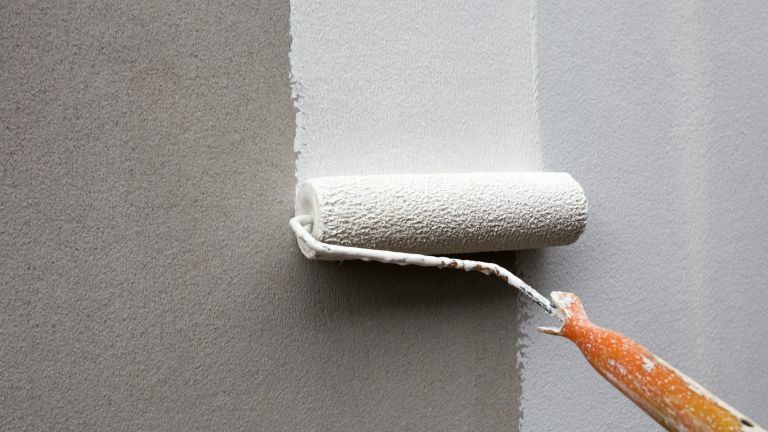 Whether you're painting your house from top to bottom or are simply giving the odd wall a fresh lick of paint, you’re going to need the right tools for the job. Paint brushes are great for smaller areas and getting that neat and tidy finish around the edges, but for the most part, a paint roller is the easiest way to get full and even coverage in the most efficient way. For painting interior walls, it’s best to opt for a set of rollers in different sizes as will allow for greater versatility and for a smooth finish, even in the tightest of corners. You'll find more advice on this in our guide to how to paint rooms and walls. Most rollers will come with paint trays, but not all, so factor that in if you need one, and standard pile length is medium for most DIY jobs, but you may prefer to opt for a longer pile on textured or larger surface areas. For more advice and inspiration, make sure to take a look at our dedicated paint hub page. You may also benefit from browsing our buyers guide to the best paint brushes and rollers for all your DIY projects. If you’re planning on painting all the rooms in your home, then this set of large paint rollers is a great place to start: you’ll get three different pile lengths and different sized rollers to allow you to achieve maximum coverage with a smooth finish. The set also comes with a paint tray and a lid to keep paint fresh when you’re taking a break from your project. You’ll also be able to keep clean up to a minimum with disposable tray inserts that will stop the paint from staining the tray. For quick and thick coverage, this large roller set will allow you to paint over a larger surface area much more efficiently than with a paint brush. You still get a paint brush included for filling in around the edges, but this medium pile paint roller really will get the job done efficiently, even on rougher surfaces. The shape of this paint roller is designed to be comfortable to hold, so you can paint for longer and get the job done more quickly. This long pile roller is good for more textured surfaces, to make sure no areas are missed and the colour goes on thick and smoothly. It comes with two roller sleeves for if you need to change up colours, and at nine inches, these rollers make it easy to make good coverage quickly across larger surface areas. You’ll also get a paint brush included for those smaller areas that are just a little too hard to read with the roller. If you need to repaint your ceiling, then this is the paint roller for the job. With a 9 inch roller and long pile, it will certainly ensure even coverage on both smooth and textured ceilings, and it also has an extendable handle of up to 2.4 metres so you can reach higher areas with ease. It’s lightweight and easy to handle and has a battery operated turbo motor to help you get the job done with minimum effort. Simply push the button and away it goes. If you just need a basic paint roller to do a small paint job, then this Dulux roller is light and easy to handle with a soft grip. Made from micro-pile fabric, this roller is said to be particularly good at applying a smooth, even layer of paint across both walls and ceilings. The tray has a deep well for filling with paint and the easy-clean squeegee allows you to remove excess paint so that you can have a mess-free painting session. If you’re painting a much smaller area or perhaps an item of furniture, then these mini rollers could be a lot more suitable for helping you get a much more even coverage. They’re comfortable to hold and the five interchangeable rollers are great if you are creating a design with different colours as you can easily slip them on and off. The paint rollers also come with a paint tray.